← Or not to be. If it’s Monday then it is time for my painting class. 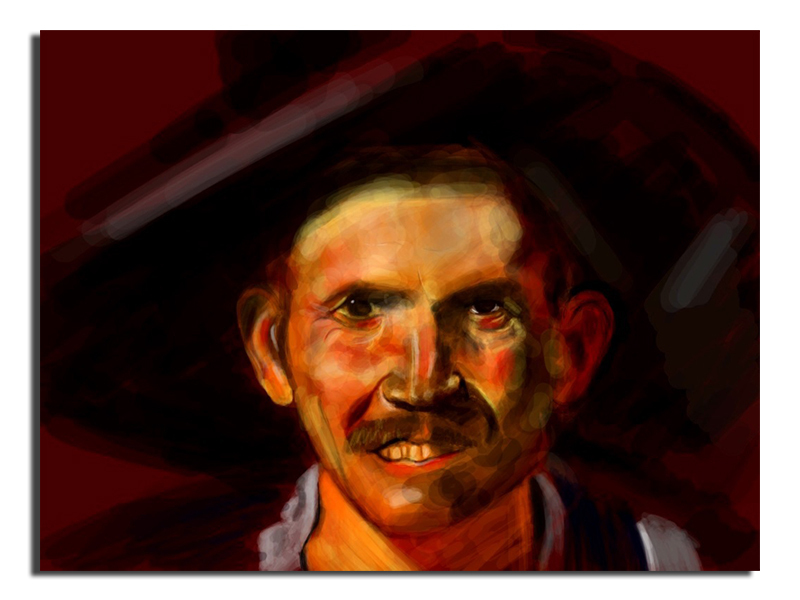 This was my version of Portrait of Juan from Pareja by Diego Velázquez. As a painting exercise I’m quite pleased with the result but as a copy of the original? 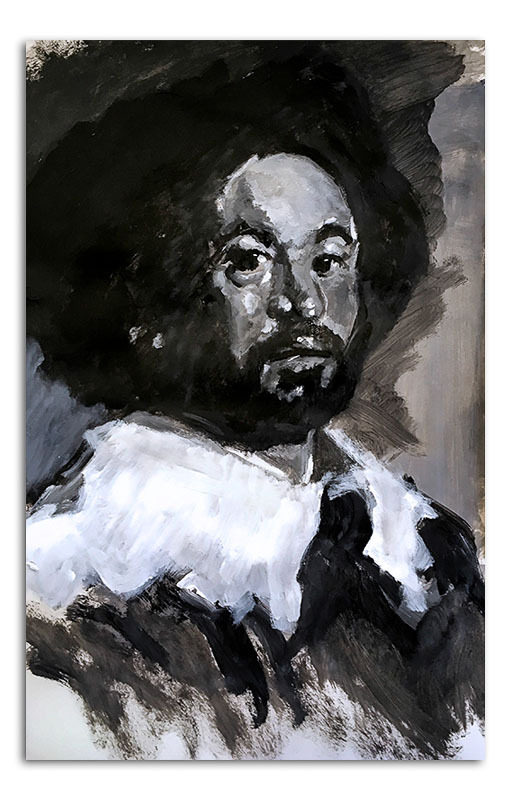 I’m really not at all sure whether there is much validity in that question as this was an exercise exploring a limited tonal range – in this case between black and white rather than making an absolute copy – for one thing this sketch was made in just under two and half hours using acrylic paints – neither restrictions I am sure were placed on Velázquez! Equally the large photocopy I was using was deliberately degraded to make the exploration of the tonal range easier. And of course there is the simple fact that Velázquez was a genius painter and I’m not. Given all these caveats I’m pleased with what I produced. 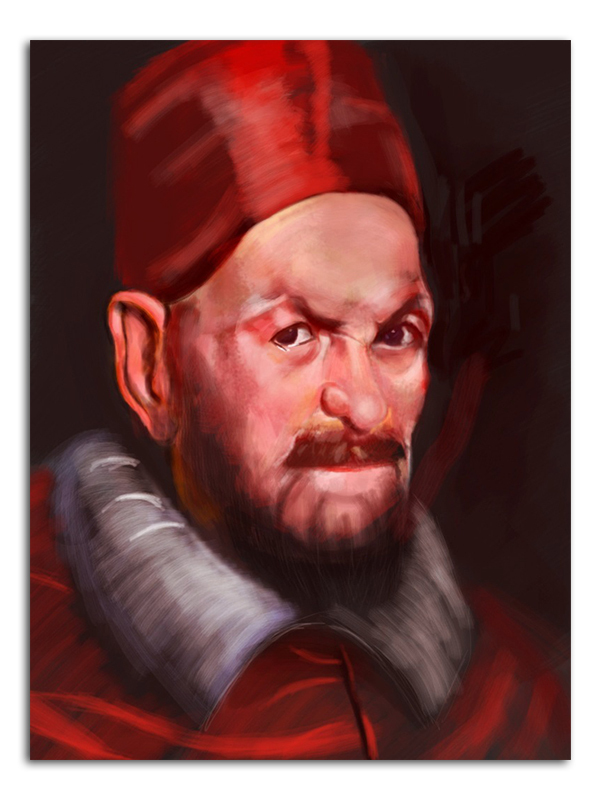 It is not the first time I have attempted to copy Velázquez. These are from a few years ago but nonetheless I’m pleased with the results. These of course were created using Brushes on the iPad rather than paints. This has lead me to ask the very simple question: Why do I create these images? Well the simple answer is because they give me great pleasure and satisfaction. I have no real desire to do anything with my art than to improve and satisfy myself and given those narrow goals I think all of these paintings work in their own right. 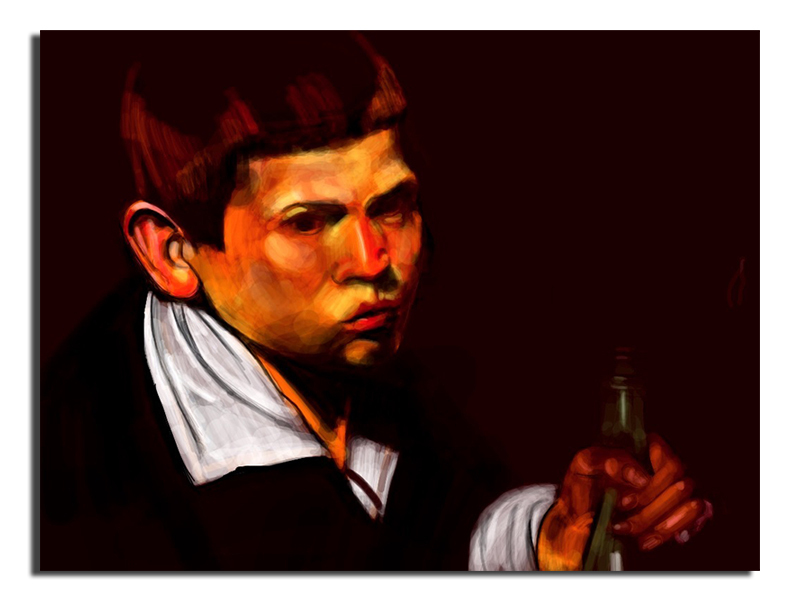 This entry was posted in Art, art class, Digital Painting, monochrome, painting and tagged art class, Brushes, Diego Velazquez, Digital Painting, painting, portrait, Portrait of Juan from Pareja. Bookmark the permalink.